The 17th Eurocom Worldwide Annual Conference held on 16th March 2018 focused on the most significant impacts of global digitisation on the PR industry and in particular on PR agencies. The conference agenda, presented by external experts as well as Eurocom Worldwide speakers, ranged from artificial intelligence, augmented and virtual reality to customer journey mapping and new measurement and evaluation techniques. The Eurocom Worldwide conference attracted close to 30 agency leaders from across Europe, Latin America, the US and Asia Pacific to Germany’s capital city Berlin. AMEC speaker Dr. Jan Janzen, Head of Analysis & Consulting at Argus Data Insights, introduced new models of measuring and evaluating PR on the basis of the Barcelona Principles while Dirk Popp, VP & Global Head of Corporate Comms at HERE Technologies, focused on the relationship between clients and PR agencies in the digital era in terms of expectations and benchmarks. PR.Konektor, based in Prague, Czech Republic, received the Eurocom Worldwide Agency of the Year 2018 award for their outstanding engagement and contribution across the network over the last year. In addition, both PR.Konektor and Imago PR from Poland were recognised for completing 10 years of successful cooperation and contribution to the network. 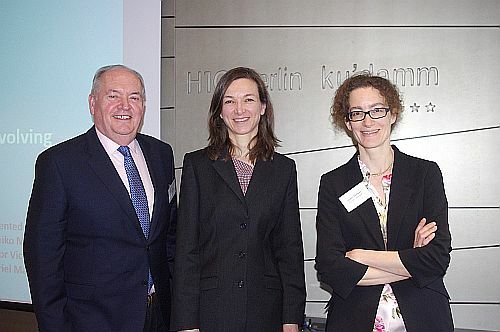 The conference was hosted by Eurocom Worldwide's DACH agency Schwartz Public Relations.